Mumbai, Dec 4 : Megastar Amitabh Bachchan has started shooting for his upcoming film "Jhund" in Nagpur. The cine icon on Monday evening took to Twitter and shared a few photograph of himself and captioned: "'Nagpur' for 'Jhund' -- the new project by Nagraj , his first in Hindi, the maker of 'Sairat' the Marathi block buster .. a centre of attraction and 'Nagpur', geographically apparently the centre of geographic India. May the two centres thrive!" Directed by Nagraj Manjule, "Jhund" is reportedly based on the life of Vijay Barse, who is the founder of Slum Soccers. 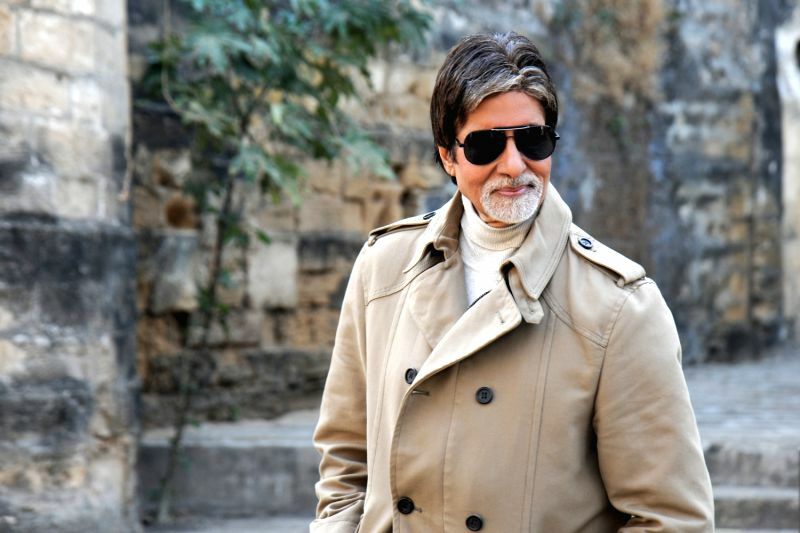 Big B plays role of a professor who channelises the street children to build a soccer team. "Jhund" is produced by Bhushan Kumar's T-Series, Savita Raj Hiremath, Manjule under the banner of T-Series Films, Taandav Films Entertainment Ltd, and Aatpat. Amitabh will also be seen in Sujoy Ghosh's "Badla" along with actress Taapsee Pannu.